Thank goodness for cameras because those months are a blur in my mind. Having a colickly newborn and a 20 month old...what were we thinking??? Well, she grew out of the crying, and we decided to keep her! And then 5 years flew by. She is such a beautiful, opinioned, girly, musical, creative, wonderful 5 year old! Happy Birthday baby girl! I have more, but I will share later. I am just hoping when I hit POST, this will post!! I also have some FUN news to share. I was chosen to be part of the design team at Scrap'n Supply Shack!!!! It's a great group of girls and we are all working hard for our first reveal using the October kit. Go check out the sneak peak...it's a great spooky kit with lots of wonderful embossed paper and great shaped cardstock! I am really excited about this opportunity, so stay tuned for our first reveal!!! I made a bunch of gifts to give to my secret sister at my scrap retreat this past weekend and now that she has them, I can finally share on the blog! I had fun altering some wood frames and wood blocks. First time for the wood blocks and the rounded edges were giving me fits. But I figured it out and I like how they turned out. For this frame, I bought some crackle medium from my local craft store and used it between the orange and black paints layers. Turned out pretty cool. This one I covered with blue jeans paper and added some little boy embellies. These are the wood blocks. My hubbie cut them for me from a redwood 4x4 we had in the garage. Some of the edges are rounded and I had a hard time getting the edges to meet up. But I figured it out and they turned out okay! One more, I bought this frame a Home Goods and turned it into a home accent by adding just a bit of paper and a few buttons! The opening in this frame is 8x10, so it's a good size. I think she liked everything and we had a fantastic time on the retreat. I did accomplish some scrappy things and had lots of other fun, too!!! Now...I need to make more cards for the craft fair! So...I signed up to participate in a craft fair. It's actually going to be my mom and sister working the table because my sweet DH will be out of town and I just can't take the 2 kiddies there. It's a craft fair in my mom's community and i'm going to be selling cards, gift bags and boxes, and maybe a few other altered things. Here are some cards that I recently made for the craft fair. I'm trying to keep things simple, so they fit in a standard card, only need a normal stamp, aren't too bulky. When people buy them, I want people to use them with minimum hassle!! I used Basic Gray, Mellow line to make these. I'm going to make thank yous, birthday cards, and maybe some hi/hello/thinking of you cards. I'm a bit lost, not knowing how many to make. Anybody ever worked a craft fair before that has some advice???? Lookie what I got!!! How cool is this? 2. Winners can put the logo on their blog. 3. 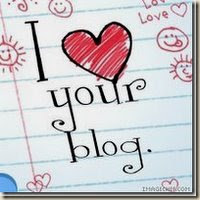 Link the person who gave your award to your blog. 4. Name the 7 that you are giving the award to with their links. 5. Leave a message on their blogs so that they know they've won! Beth: She scrapbooks, makes cards, cooks fabulous food, makes jewelry...is there anything she can't do??? I love to have a virtual margarita with Beth and just chat about scrapping and Rock of Love!! Joni: She's a half marathon finisher, runner, beach dweller, scrapper, working mom. I love her blog...I just wish she would get to scrapping some more. Hint Hint Hint!!! Mel: She's got a beautiful family that she scrapbooks, plays a mean game of live bingo and I would love to have a drink with Mel someday too!! Zoa: She is an incredibly talented scrapper and can use flowers and bling like nobody's business!!!! Go check out her blog! Sarah and Jason: This is my sister and her new hubby. I love to read his rants on traffic, gas guzzling hummers, and people in general. They have some pretty sweet shoe art in their yard and a wonderful commentary on Olympic trampoliners. This is a can't miss. Nicole: I enjoy Nicole's scrappy style, she makes beautiful cards, she's a fellow California girl and I love her blog! Lea Lawson: I don't know her, never met her, but I love her blog and her scrappy style!!! That's it for now!! Thanks for stopping by! First soccer games today! I am officially a crazy soccer mom. It was so much fun! I ran around the field with my camera and screamed my lungs out for my kids. I think Craig might have been a bit embarassed, but I'm only getting started!! Ha!! Could be her game face, could be her what-goal-do-I kick-the-ball-in face. Her team did really well considering none had ever played soccer. They are all still a little foggy on which goal to kick it to and 'stop when the ball goes out of bounds'. But I think she had fun!! The game went a bit long and she had a semi-meltdown at the end. But I think it will get easier. And I NEVER had such cool hair ponytail holders when I played soccer!! Kevin's game was awesome!!! They didn't win (technically, they don't keep score but the boys all know what the score is!) but they scored a few goals. When his team scored the first goal, Kevin went flying down the field and literally jumped on the guy in excitement. You would have thought it was the world cup! He reluctantly played goalie in the 3rd quarter. He did not like being in the goal and being away from most of the action. In the 2nd quarter he had a big breakaway with the ball (he's playing left forward) and got a nice shot on goal. Didn't go in, but it was a nice moment for him. And check out that red face, just like his mom. My nickname when I played soccer was tomato, so his red cheeks don't surprise me! They had lots of fun, I think I had more fun. Lots of games remain in the season, I can't wait for more!! We are all very excited for the start of soccer tomorrow!! Kevin is on The Piranhas and Kayla is on the Soccer Stars. Their games are thankfully not at the same time so I get to attend both. They are both just loving soccer, this is their first time playing. Kevin is such a fast runner and loves to run and dribble that ball. Kayla just loves to be out there, running around, trying to get the ball and playing with the other girls on the team. She got lucky enough to wear a pink jersey this year. We'll see how the games are tomorrow! Here are some shots of her practicing. They are so cute! Wish us luck tomorrow!!! The Piranhas and The Soccer Stars are coming to get ya!! A really fun Guest DT Spot! I was lucky enough to design this month with a beautiful kit from Moments 2 Remember! It was packed full of all sorts of goodies from Making Memories, some beautiful flowers and lacey border and Stickles! Here's what I came up with. I stitched a pipe cleaner on that last layout to make a stem for that pink and black flower. And I made tons of cards. I just couldn't let one piece of paper from this kit go to waste!! It was a really fun, bright kit to work with. Thank you Robin over at M2R for the opportunity!! !